Trying to keep tiny fingers from a painful, dangerous zap? Munchkin has you - and your outlets - covered. Protect young kids from potential electric shocks with Munchkin Plug Covers. 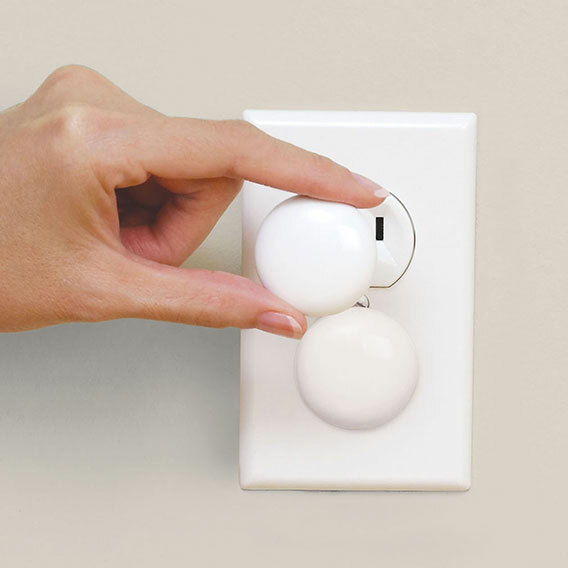 The smooth, non-grip design helps prevent tampering with the plugs when installed. Specially designed to go unnoticed by children, the opaque design blends in with most standard outlets and room decor for added peace of mind. Amp up your babyproofing efforts and take cover with these childproof outlet covers - because keeping baby safe is your #1 job.